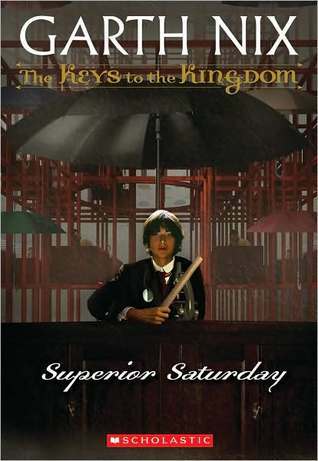 Superior Saturday is about a boy, Arthur Penhaligon, who is trying to save the parallel universe that he was thrown into. In order to do that, he must defeat Lady Saturday and take a key from her. To find the key, he must use the previous ones he has gathered and attempt to find the "Will," an entity that will assist him. He must also come to terms with transforming away from humanity, and having to become the hero he never wanted to be. This book was an interesting one to read, because it really goes into the magic of the other world, how things worked and how easy it was to break. The different perspectives also made it interesting, while also adding to the suspense. I would recommend this book to people who enjoy suspenseful books, and/or find it easy to follow multiple perspectives throughout the book. If the sudden changes are hard to follow for you, it might not be the right book for you.